A picture is worth a thousand words, especially when it comes to the Loyola experience. 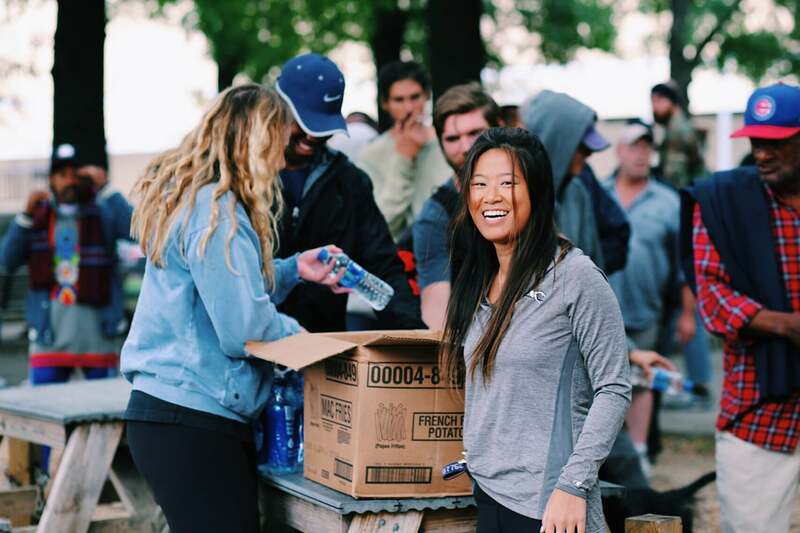 We've rounded up some of our favorite photographs from 2018 that capture members of our community learning, leading, serving, and living their Strong Truths. 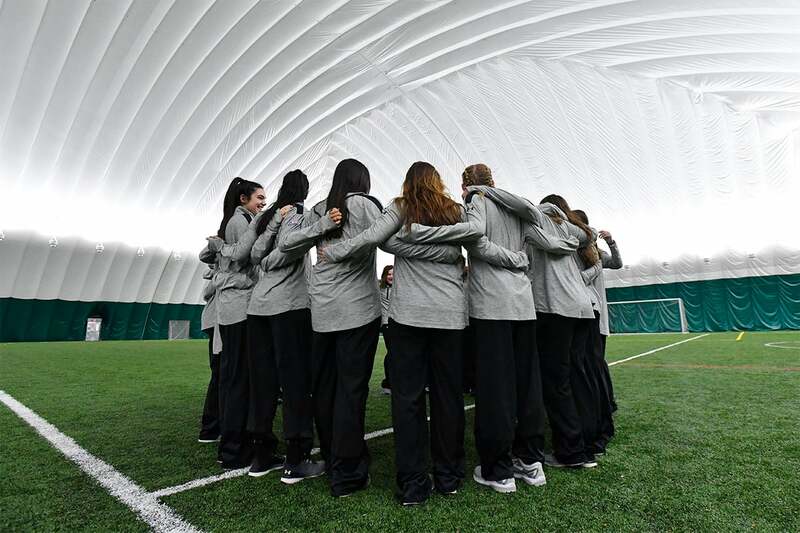 Loyola University Maryland celebrated the dedication and official opening of the Lugano Field Air Dome, an indoor practice space for Loyola athletics during the winter months, at Ridley Athletic Complex. 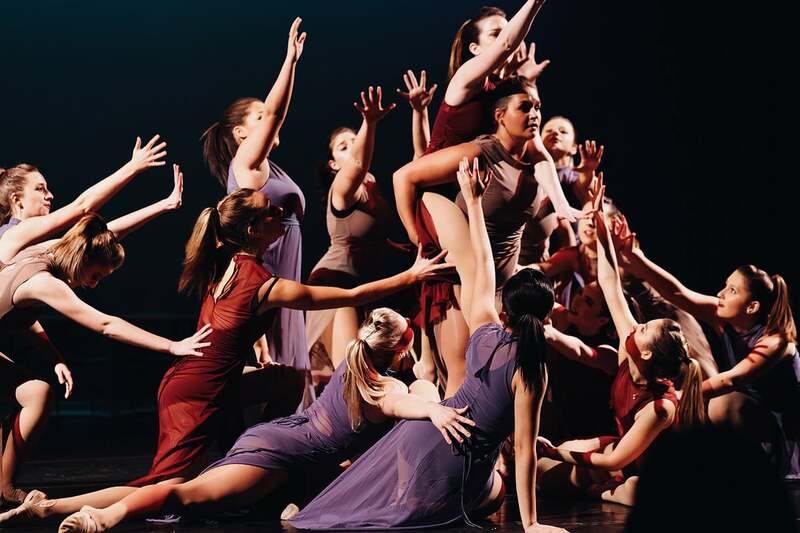 Loyola’s Dance Company, one of the largest student organizations on campus, performs jazz, contemporary, hip-hop, ballet and pointe, tap, lyrical, and modern dance during its Annual Winter Showcase in McManus Theatre. 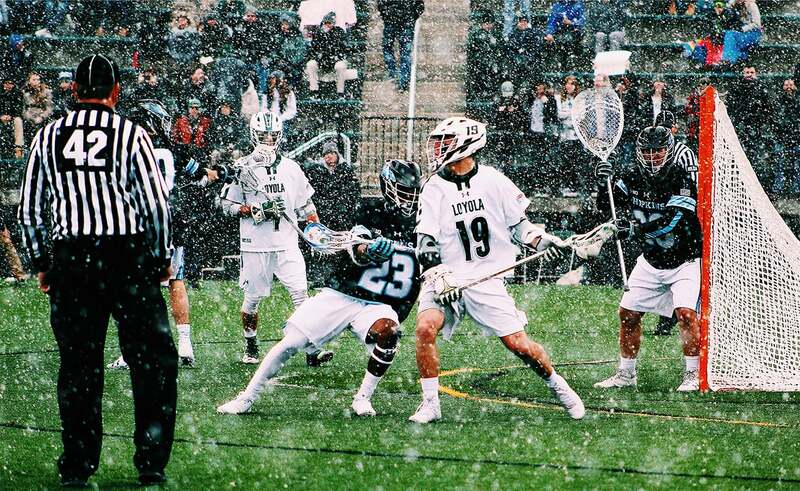 The winner of Loyola’s first annual student photography contest, Ava Haag, ’21, captured this shot at the 2018 Battle of Charles Street, the annual men's lacrosse matchup against long-time neighborhood rival Johns Hopkins. 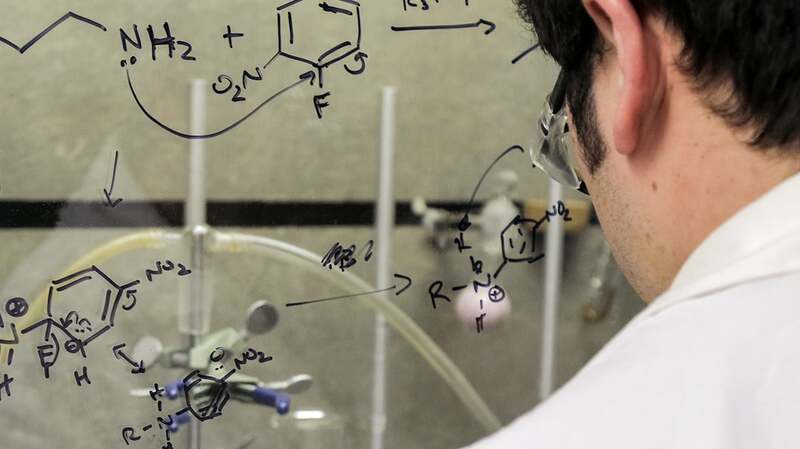 Courtney Hastings, Ph.D., assistant professor of chemistry, brainstorms with students during a lab project. Student models take the catwalk during the Black Student Association’s 19th annual BSA Fashion Show in March. 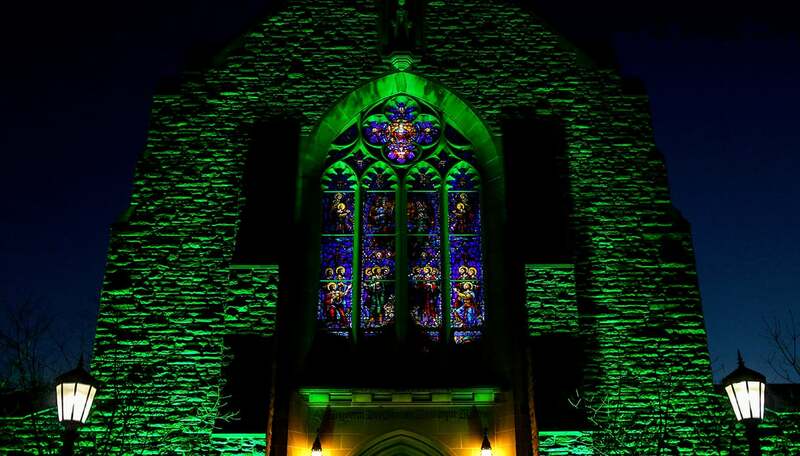 Thanks to the lighting magic made possible by Event Services, Alumni Memorial Chapel was awash in green during the on-campus celebration of Light City Baltimore in April. 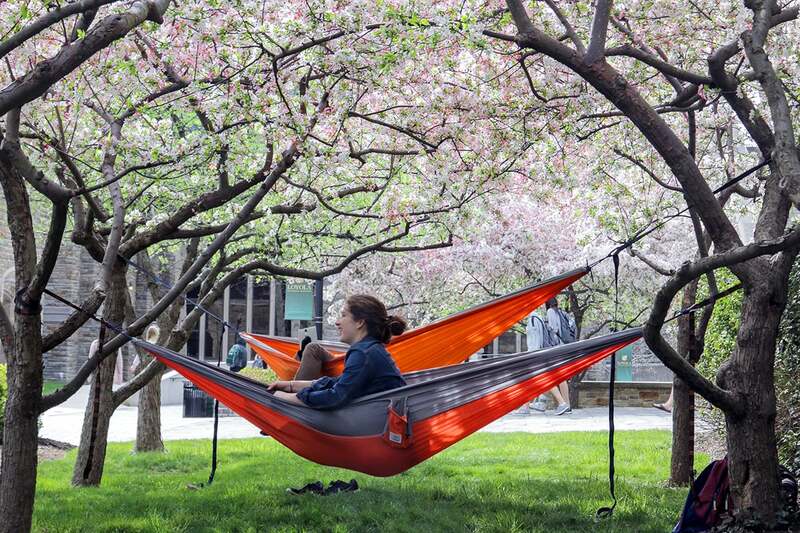 Students hang out on a beautiful spring day in hammocks suspended in the trees outside of Sellinger Hall. Hana You, ’19, shows off her project from a recent pop-up class at Loyola. 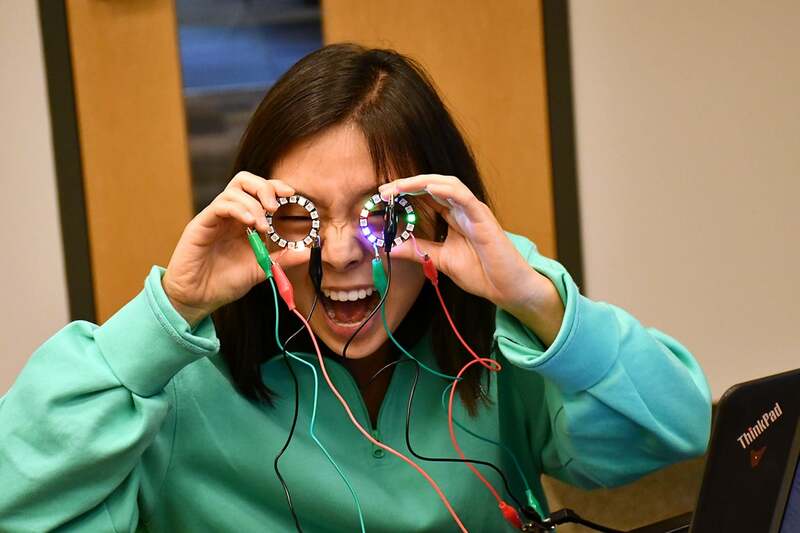 In Wearable Electronics, taught by David Hoe, Ph.D., associate professor of engineering, Hana learned how to program a GEMMA M0 microcontroller to sequence the LEDs on a neopixel ring. Our students experience some of the most breath-taking places on the planet through Loyola’s study abroad programs. 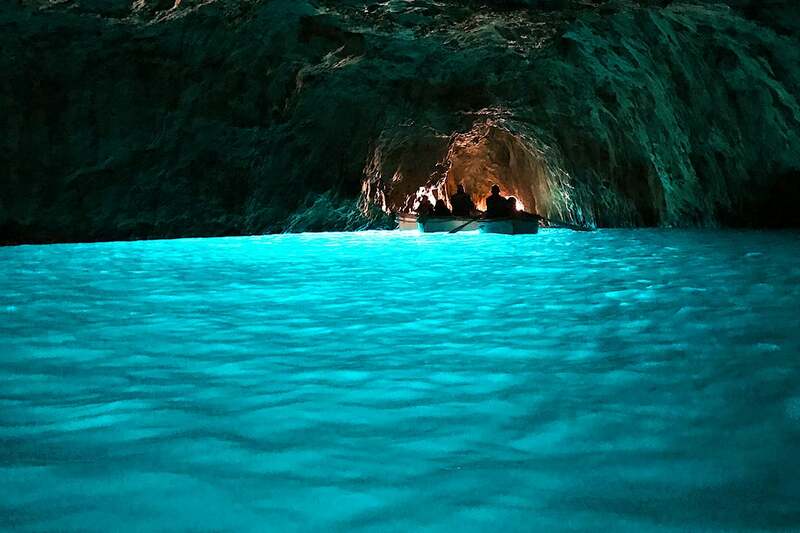 Marisa Ganley, ’19, took this photograph during a visit to the Blue Grotto in Capri, Italy, while studying in Florence in the spring. Battle of the Bands winner Wilmah opens Loyolapolooza, Loyola’s annual springtime festival, for this year’s headliner, Sean Paul. 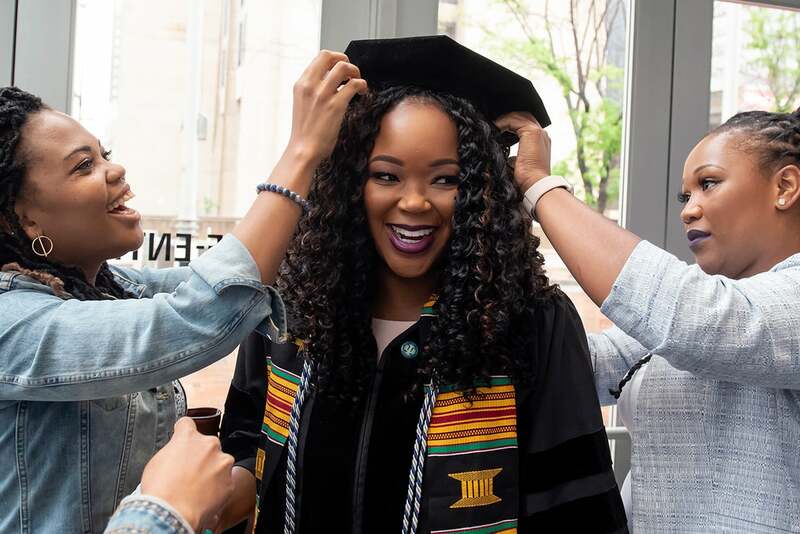 More than 1,200 undergraduate and graduate students received degrees at Loyola University Maryland’s 166th Commencement Exercises on May 19. 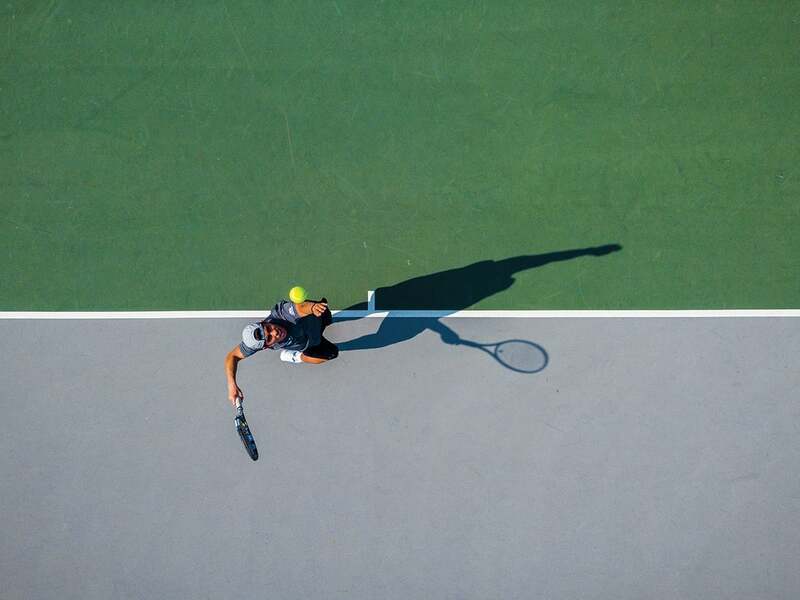 The McClure Tennis Center at the Ridley Athletic Complex serves as a place for students to perfect their form. 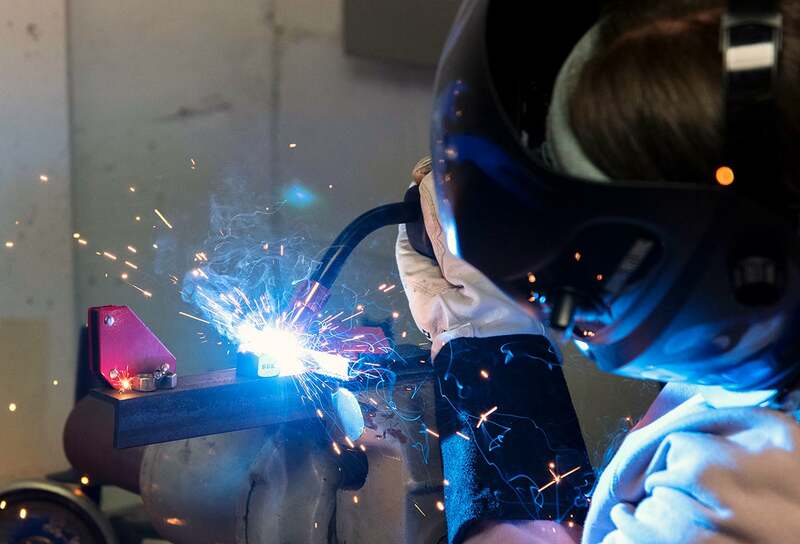 The engineering department offered a pop-up class called Welding Pop-up Training in Art Metals, led by Yanko Kranov, Ph.D.
Students serve and connect with our local community through the McChicken Project (which is not formally associated with the McDonald’s restaurant company), a student-run initiative to feed people experiencing homelessness and hunger in Baltimore. 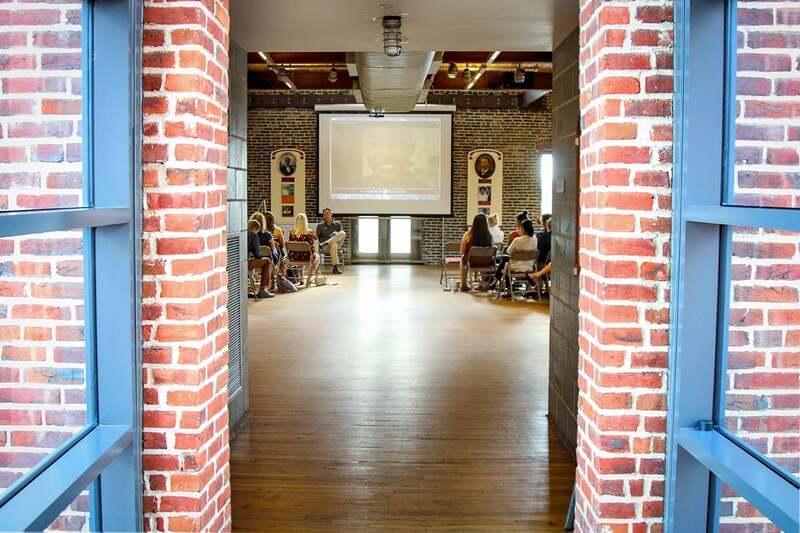 Baltimore’s Living Classrooms Foundation hosted a group of students and the Career Center at their downtown location in August as part of Loyola’s Career Accelerator Program. 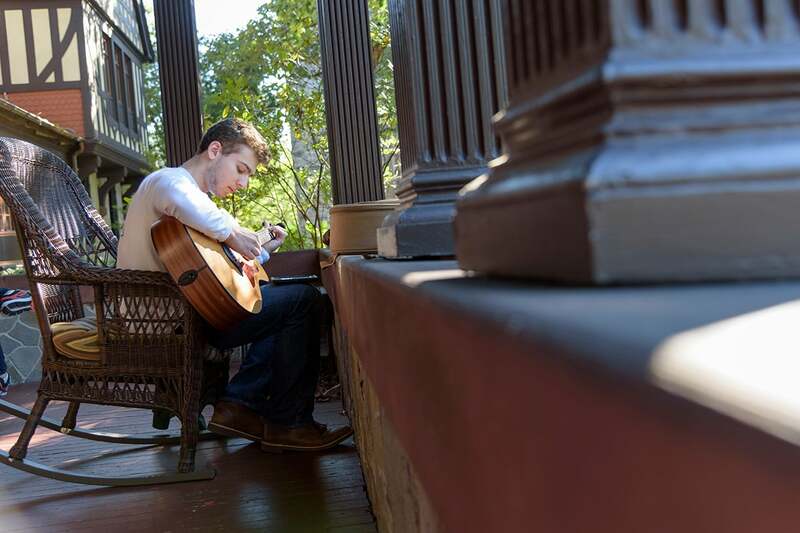 A student takes advantage of a warm fall day on the porch of the Humanities building. 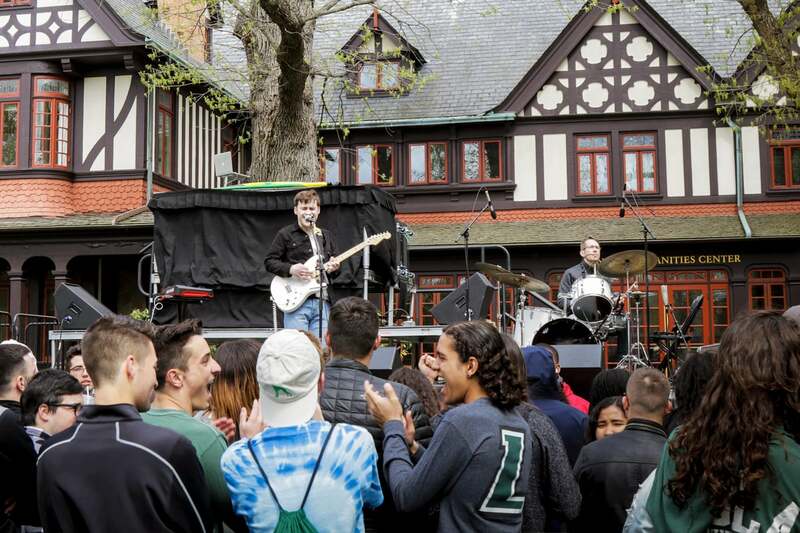 Loyola welcomed all Greyhounds past and present to Evergreen for the start of a new Loyola tradition: Homecoming Weekend. 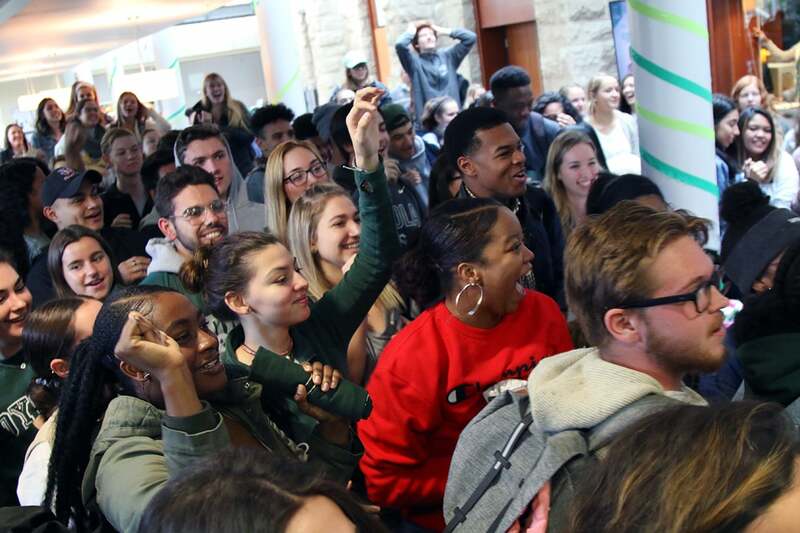 Here students fill the Boulder Atrium during a pep rally to kick of the weekend’s events. 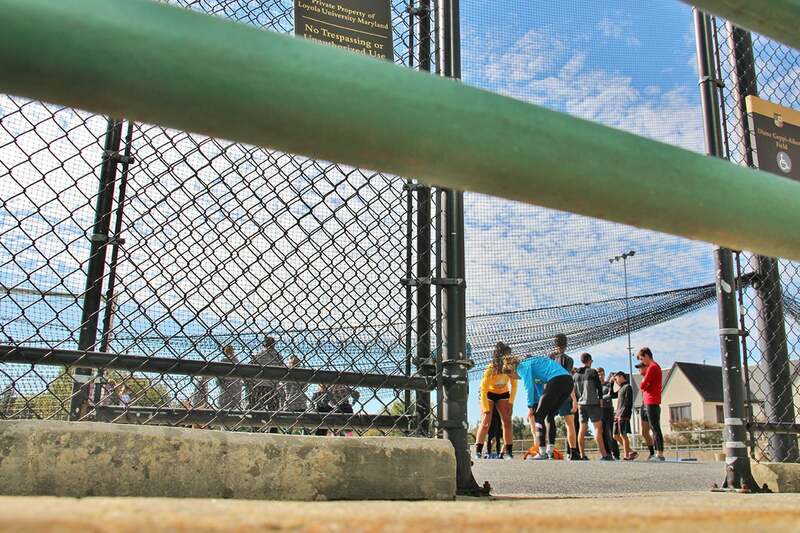 A unique perspective of Dianne Geppi Aikens Field, home for recreational and intramural sports, shows the track and field team preparing for practice on an October afternoon. 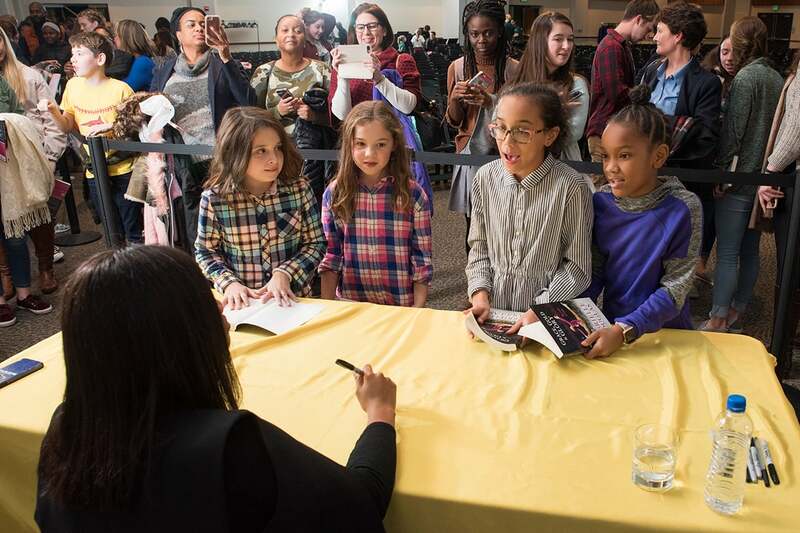 Loyola welcomed Gabrielle “Gabby” Douglas, gold medal Olympic gymnast, for the 28th annual Sister Cleophas Costello Lecture, which featured a question and answer session moderated by Loyola’s assistant vice president and director of athletics, Donna Woodruff, and a book signing by Douglas. 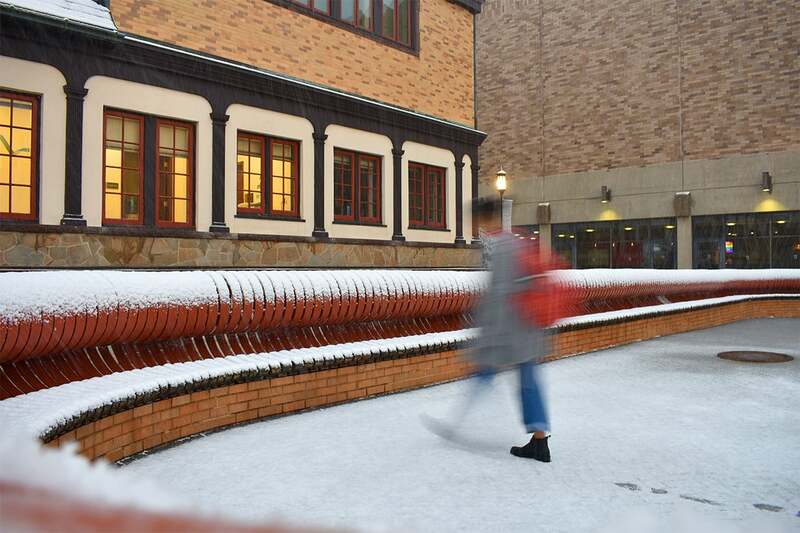 This photo of a snowy evening on campus by Margaret Alves, ’21, took second place in Loyola’s student photography contest.